The German Zeus walker is one of the largest and carried one of the largest weapons that a vehicle of it's size could reliably carry and utilise. 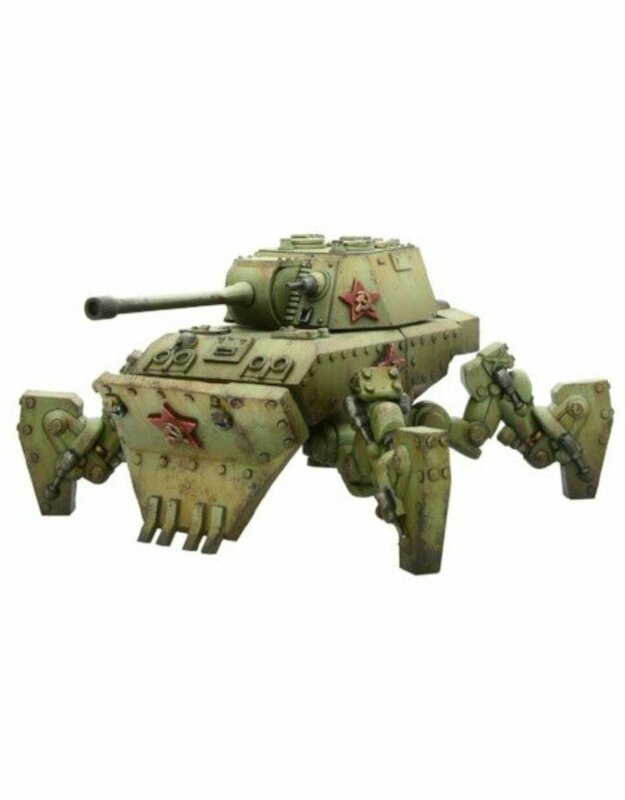 Impressed by this wonderfully large and destructive walker, the Soviets copied the Zeus's aesthetic by putting a 122mm HE gun onto their Mammoth walker chassis, creating the Mastodon. Of course this makes the Mastodon one of the largest mass-produced walkers seen yet on the battlefield, lumbering and slow, but capable of knocking almost any armoured target out with a single direct hit.